Comfort Benedict Platt was born in 1885 and died in 1974. He was buried with full military honors in Section 30 of Arlington National Cemetery. His wife, Mary Grafton Platt (1901-1976) is buried with him. 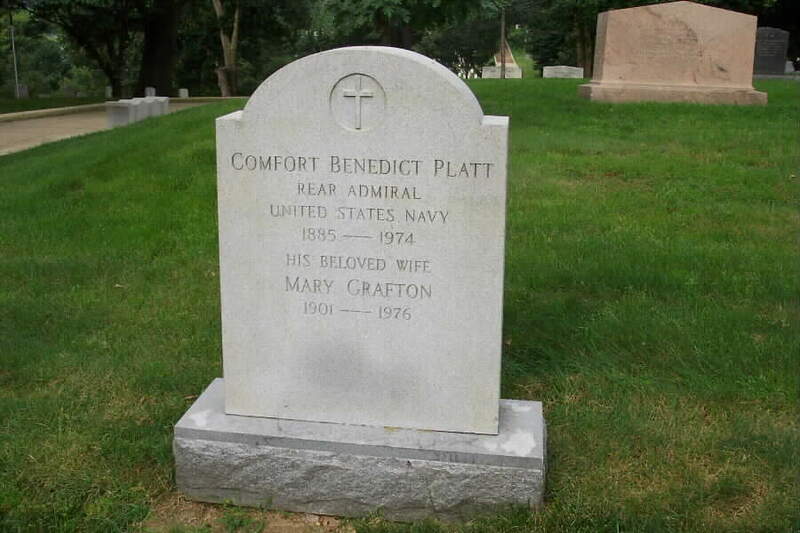 Their son, Grafton S. Platt, Commnader, United States Navy, has a Memorial Stone in Arlington National Cemetery. We are actively seeking information on the Admiral and his wife. If you possess such information please contact the Webmaster.